The economic situation, reduced consumption, nasty weather, and a decrease of purchasing power all mixed together makes a deadly cocktail for the Portuguese market. LISBON, Portugal – The economic situation, reduced consumption, nasty weather, and a decrease of purchasing power all mixed together makes a deadly cocktail for the Portuguese market. The great year of 2008 is already a long gone reality. Since the world was hit by the economic crisis, Portuguese bicycle production figures were never the same. Last year we saw a clear slow down in production, especially in big players like RTE, at the time aiming at the 1 million figure. RTE main customer is Decathlon. 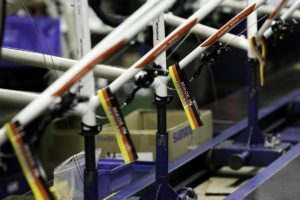 However, in November 2008 this powerhouse in sporting goods retailing directed its complete bike suppliers, including RTE, to stop shipments because forecasts in bike sales were not met by actual demand. 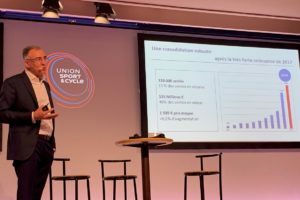 Decathlon budgeted to sell 2.4 million bikes in 2008. However, only 1.9 million were sold. With stock levels up to the roof in Decathlon’s logistics centers suppliers were forced to hold their products for the coming months. It certainly affected bike production in Portugal in 2009. However, the bad news continues in 2010. Production levels are still dropping with no signs of recovery. Also, Portugal is entering the third stage of an economic plan set out by the government to help recover from the crisis, but, in the end, only reduces purchasing power (VAT will be at a record figure of 23% and salaries will see cuts). The end result is much-reduced consumer spending. 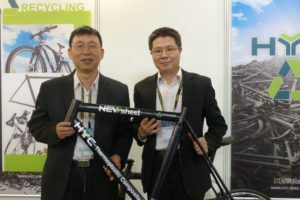 However, for bicycle imports it wasn’t that bad, since some brands were able to sell out their stocks. 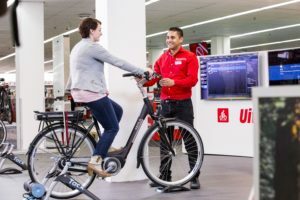 Specialized went even further, opening a huge store at a shopping mall, with the purpose of reaching other consumers beyond the usual bike store customer. The only franchise network, Bike Zone, opened a big store in Lisbon, plus a smaller one (their 20th) in Cascais. Spain could be their next target. The big retailer Sport Zone also increased sales, especially with their own brand Berg. But it wasn’t that good for everyone. Portugal saw one of the worst (if not the worst) winters ever, with more than 100 days of rain. All brands were affected, with poor sales between December and April. 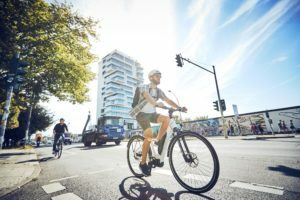 Consumption is also far from the country’s potential, since cycling as a means of transportation, is still a far-fetched reality. Cities don’t offer safe bike paths (or bike paths at all). Some have them but prohibited bikes to ride there and the shared bike program planned for Lisbon in 2009 is still a mirage. As well, there isn’t a government plan to reduce VAT, or promote the usage of bikes. Fortunately, production wise, Spanish brands Orbea, Agece, Coluer and BH kept their figures stable and represent around 100,000 units. A possible sign of a gloomy present and future; the usual national players didn’t revealed their figures, afraid of the consequences that might have on outside orders. It’s hoped that 2011 will bring more certainties and, of course, better conditions for consumption and production.